Shanna McCutcheon, 32, was shocked and fearful after being diagnosed with gestational diabetes mellitus (GDM) in her second trimester. McCutcheon—and the rising number of women diagnosed across Alberta and Canada with GDM—are sent to a local clinic for a two- to three-hour information session on how to self-manage their sugar levels in order to protect their health and that of their unborn child after being diagnosed. However, there’s emerging evidence from University of Alberta research that women in Edmonton, and indeed, Northern Alberta, are not all walking away from clinics feeling empowered to make healthy changes, or freed from the heavy emotional burden that comes with the disease. Roseanne Yeung, a U of A endocrinologist, Alberta Diabetes Institute member and principal investigator of this research, explained that GDM is a hormonal disease, and that while diet and activity can in some cases manage symptoms, in others, lifestyle changes won’t be enough to counter the hormonal changes raising blood sugar during pregnancy. “Diabetes clinics are doing a fantastic job covering the information women need to manage their GDM. But what’s come out of our initial research is that some women are understanding it differently than intended, and a much smaller number are leaving class without understanding the basic concepts at all,” she said. The qualitative, community-based U of A research involved 17 participants (McCutcheon was a study participant) meeting over five working groups. Participants included women who had attended a GDM clinic in Edmonton or northern Alberta during their pregnancy, front-line health-care professionals from these clinics, and research team members. Because education is the foundation for diabetes self-management, it’s important to ensure women feel empowered to make lifestyle changes for the health of themselves and their young families, explained Yeung. “After diagnosis, women have a steep learning curve to manage blood sugar during pregnancy. We’re asking them to test their blood sugar a minimum of four times daily, and to adjust their nutrition and activity. We’re also asking them to get enough sleep and figure out ways of reducing stress in their lives,” said Yeung. At present, local facilities such as hospitals offering the clinics each develop their own GDM education classes using whatever local resources are available. “Our research shows a number of things are going well. After attending the clinics, women felt comfortable testing their blood sugar levels and reading nutrition labels,” said Jamie Boisvenue, Yeung’s research assistant and senior investigator. Boisvenue added that English was a second language for 35 per cent of the women attending GDM clinics across Edmonton. “During our working group sessions, we discovered language and culture were significant barriers to learning and adopting the suggested lifestyle changes,” said Boisvenue, adding that our current GDM education could be better tailored to different populations so that women are more engaged and feel the advice more applies to their own personal circumstances. “There was also the issue of not addressing the psychological or emotional distress of diagnosis. In some women, there are biological differences where the disease is more aggressive or difficult to control for reasons we don’t fully understand,” said Yeung. Despite McCutcheon’s best efforts, she had to go on insulin injections one month after her diagnosis. It wasn’t until McCutcheon enrolled in the U of A’s research that she discovered that she was not to blame for her GDM. “That was such a huge relief. Just knowing that I wasn’t at fault made me feel so much better. In order to address education gaps, and give women and clinics an additional resource tool before, during and after clinics, the research team has turned its attention to an existing website, diabetes-pregnancy.ca. As a result, moving forward, the researchers have redesigned the site with the hope that by collaborating with women with GDM and front line workers treating GDM, they’ll get more buy-in to use it from both women and clinic staff. “GDM health-care workers are extremely passionate and they are doing a great job. But what seems to be lacking is an overarching framework or governance structure to establish and share best practices in GDM education that can be modified to suit local needs,” she added. Gestational diabetes mellitus (GDM) is the fastest rising form of diabetes in Canada. “It’s rising, in part, because of increasing obesity and undiagnosed prediabetes, and the fact that women are having children at an older age,” explained Roseanne Yeung, a U of A endocrinologist. 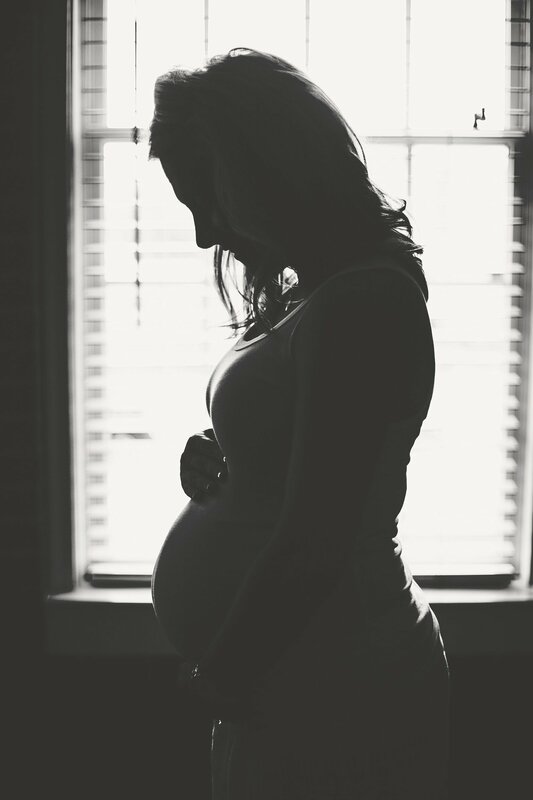 GDM may increase the risk of high blood pressure and preeclampsia during pregnancy. The short-term health consequences of uncontrolled GDM on the baby include having a bigger baby, which may require C-section delivery, or birth complications such as premature labour, respiratory distress syndrome, jaundice, or hypoglycemia. In the longer term, GDM puts a mother at higher risk of developing Type 2 diabetes, obesity and cardiovascular problems. The long-term data on the children exposed to GDM may be at higher risk of developing obesity and diabetes later on in life. “The key message to women is to recognize they can reduce these risks by having healthy lifestyle habits before and after pregnancy, and to teach their children these healthy habits,” said Yeung.